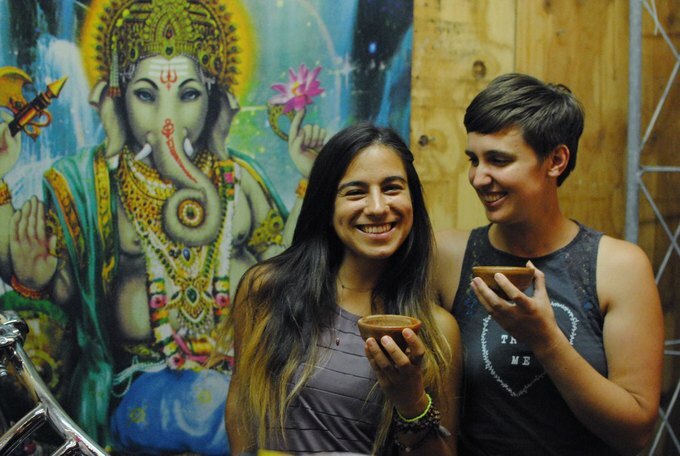 Audrey Love Bean and Florencia “Flo” Fridman first crossed paths this January on a Cacao farm in Guatemala, as together they deepened their knowledge on the sacred medicine used by the Mayans and the Aztecs to connect with higher energies. 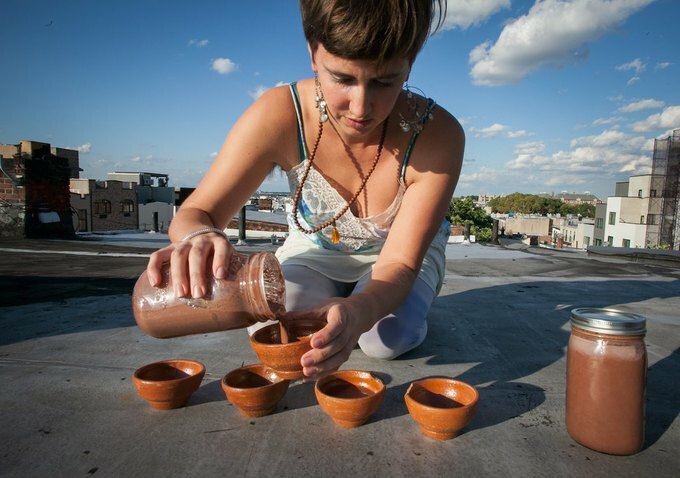 Fast forward to September in Bushwick, and the duo’s pop-up venture, The Cacao Studio, not only provides weekly yoga sessions and Cacao-curated experiences, but enlightens the Bushwick community about this superfood’s ability to heal and connect—one cup at a time. Audrey and Flo’s Cacao Studio offers a variety of physical and spiritual classes, all centered around drinking Cacao and witnessing its many nutritional and energetic benefits. Packed with magnesium, calcium and zinc, Cacao is known for relaxing the nervous system and inviting more oxygen in the brain, which increases focus and enhances creativity. It is sometimes compared to caffeine for its uplifting feeling, due to an alkaloid of the Cacao plant called theobromine. Anandamide, serotonin and phenylethylamine are also released, boosting endorphins and overall providing a “blissful” state. Bushwick Daily recently visited The Cacao Studio, and as newcomers we tried "Cacao Flow," which is a 2 hour class led by co-owner Flo, connecting participants with Cacao, sound, breath and yoga. The class began in a circle, as Flo poured each of us a generous cup of a ceremonial-grade Cacao blend, which was said to have an uplifting, yet grounding energy to it. She gave us a brief overview of Cacao’s importance in ancient times and its medicinal properties, as we comfortably sat on blankets sipping. We then did a type of breathwork called rebirthing, and soon after the class transitioned into a full-fledged yoga class. Flo guided the class, reminding us to smile every so often, with a coolness in her voice and support that held the entire room. Each sequence progressed in a fluid nature, matching the ambient music playing overhead (on a truly fantastic sound system), and eventually we worked our way down to a final relaxation, where Flo played singing bowls. 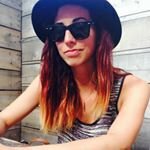 Want to experience Cacao for yourself? Stay connected with The Cacao Studio as Audrey and Flo approach their final month as a pop-up. 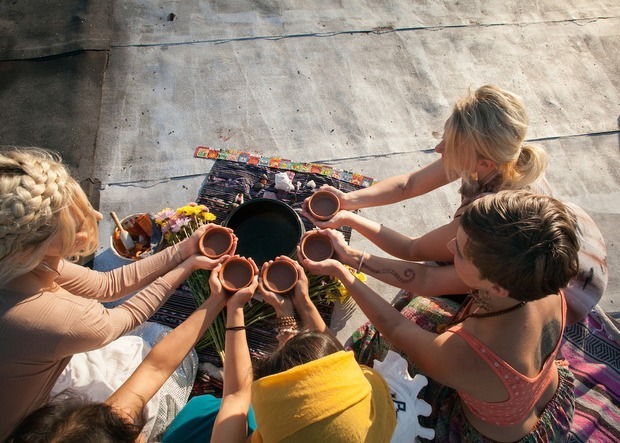 View their class schedule here and look out for their Full Moon Cacao Ceremony event on Wednesday, Oct. 4. To purchase your own Cacao sourced directly from Guatemalan and Ecuadorian farmers, visit Cacao Lab. UPDATE: On October 4th, The Cacao Studio informed Bushwick Daily due to unforeseen circumstances, they will not be hosting classes any longer at 209 Evergreen Avenue, effective immediately after the Full Moon Cacao Ceremony this evening. 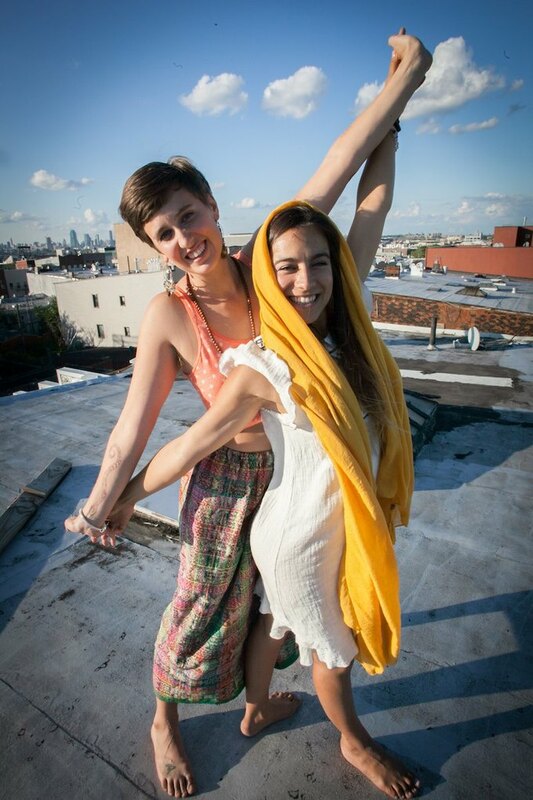 However, stay in touch as Audrey and Flo will continue to host Synergy Partner Yoga and pop-up events at other Bushwick locations.